Buying Salt Spring real estate is not like buying a house in a regular city subdivision. You need someone to work for you and help you sort though the confusing salt spring island real estate. No two homes are the alike – they may be priced the same but there are hundreds of unique variables to look at. From homes needing TLC to Stunning homes Salt Spring has them all. 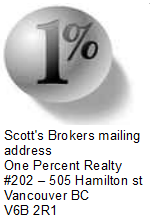 Why use the Scott Simmons as your Realtors? Scott offers additional services at no cost to you. He offer passenger pick-up at the ferry terminals and float plane dock, however we find most visitors prefer to have their own vehicle. Limited rentals are available on Salt Spring so most people rent cars at the airport. He limits the numbers of buyers he work with to allow fast personal service. Access to the Advanced property search (PCS)engine showing sold, active and new listings. Scott has lived on Salt Spring since 2001. He is a licensed salt spring real estate agent. He is compensated for his work like any other Realtor by receiving a portion of the commission paid by the seller to the listing REALTOR®. The British Columbia Real Estate Association (BCREA). Victoria Real Estate Board (VREB). He follows all the rules of British Columbia’s Real Estate Services Act . He has Graduated from the Sauder School of Business – University of British Columbia – Real Estate Trading Services Licensing Course. What is his job as your Realtor? 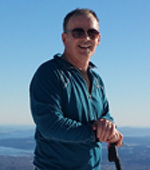 He works for people who want to buy or sell Salt Spring Island real estate. The right Salt Spring home for your needs. The Salt Spring Island home that fits your budget. The home that provides you with the best value for your money. No one wants to overpay! We will make sure you don’t over pay for your new Salt Spring home. Salt Spring is not a municipality and it is governed by a number of bodies including the Islands Trust , Capital Regional District (CRD) and Agriculture Land Commission (ALC). Salt Spring home comparisons are unique and complex. Is the Salt Spring real estate low bank waterfront, high bank, semi, tidal basin, foreshore leases, etc…? 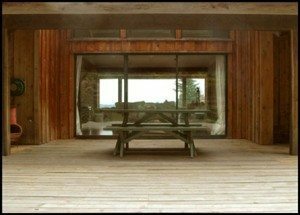 The cost comparison method is sometimes more appropriate on Salt Spring homes. Could you buy a comparable lot and build a home on it for a similar price? Local knowledge of construction cost. Helping you determine your budget and show you the real cost of living here. What is the true cost of retirement in your new Salt Spring Island home? Such as the Property Transfer Tax. Do you qualify for the Home Owners Grant? This year the threshold was pushed up to a max threshold of $1,399,000. In BC you can Defer your property taxes ( Property Tax Deferment Program ). Does the property fall under the Agricultural & Forestry Assessment . Could the Salt Spring Island real estate have a Conservation Covenant on it; (NATEP) Natural Area Tax Exemption Program. A look at activities that are important to you and look at your Salt Spring Lifestyle! As an full time Agents He can show you any real estate on Salt Spring Island. He can compare any similar properties. He will check and make sure the property was not just Re-listed. Scott can help you find your Salt Spring Island dream home.